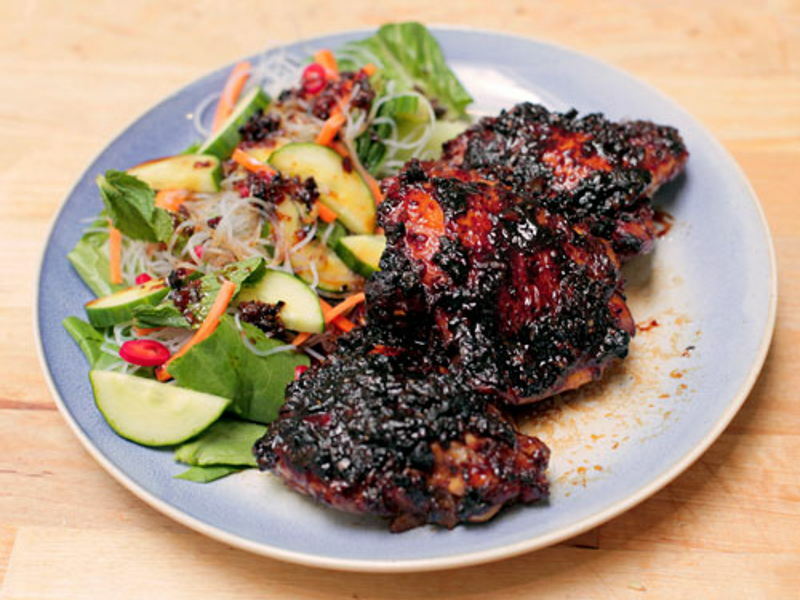 Mix all the marinade ingredients together, add the chicken and set aside to marinate for 15minutes. Once the pan is hot, start cooking the chicken thighs skin side down. Once the skin starts to get crispy, turn the chicken and add the glaze. Bake for 15 minutes in the oven at 200°C. Make sure you baste the chicken every 5 minutes. Once your chicken is cooked all the way through, take it out of the oven.